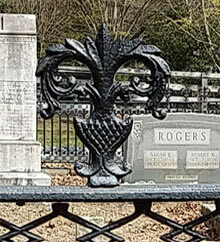 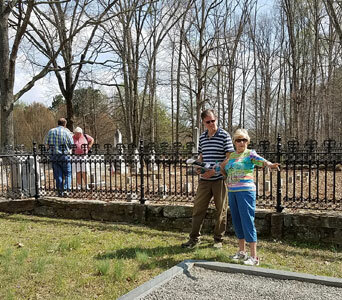 Trips to local cemeteries, history sites, museums, and to archival resource centers, plus meeting and networking with members of other historical societies. 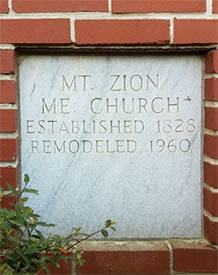 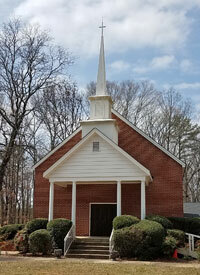 This was a wonderful tour of one of Johns Creek's historic structures. 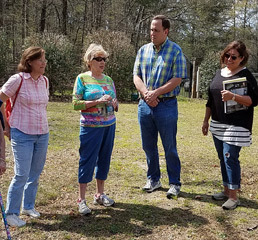 It was led by Mark Burkhalter who preserved a piece of Johns Creek history by purchasing, renovating, and repurposing the building, while maintaining its historic integrity. 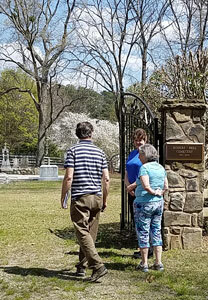 Mark also attended the school as a child, so this was a great chance to learn about the building's history and hear memories of attending the school when this area was still rural. 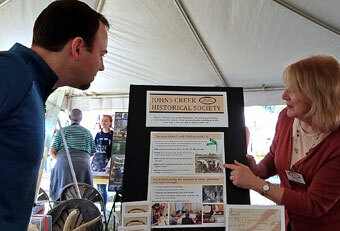 We had a busy two days meeting and talking history with visitors at the Johns Creek Arts Festival October 20th and 21st! 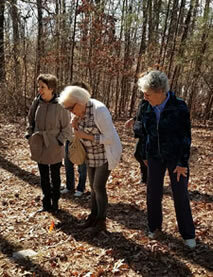 We hope all enjoyed learning a bit about the Johns Creek area in the 1800s, playing with toys from the past, and making pinwheels. 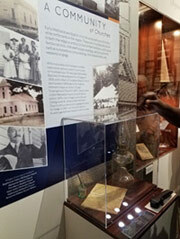 The JC Historical Society explored the new Alpharetta History Museum, located in the Alpharetta City Hall with Pat Miller, President of the Alpharetta-Old Milton Historical Society. 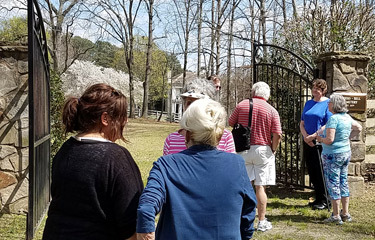 The Johns Creek Historical Society booked a group guided tour of the Smith Plantation and visited this antebellum home built in 1845. 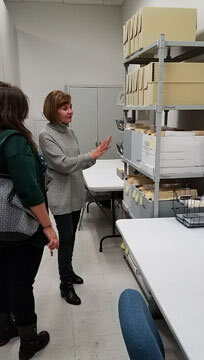 We toured the Roswell Archives located in the Roswell Cultural Arts Center, visiting their research library, viewing some of their collection of documents, maps, clothing, photos, etc., and learning how they store and organize their sizable collection of physical archives. 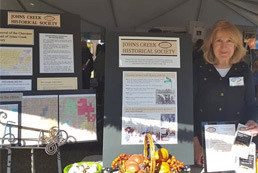 Under the tent with other Cultural Arts Alliance of Johns Creek nonprofits, we enjoyed talking about our organization and sharing local history stories with Johns Creek residents and visitors to the area. 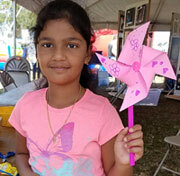 On Sunday, the Historical Society provided a free pinwheel heritage craft in partnership with the Autrey Mill Nature Preserve & Heritage Center. 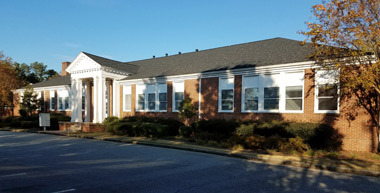 October 8, 2017 Local History Books presented to the Johns Creek Spruill Oaks Library! 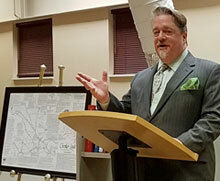 Tim Spruell, a local historian and descendant of the Spruell/Spruill family, spoke October 8th about the 4 historic communities of today's City of Johns Creek. 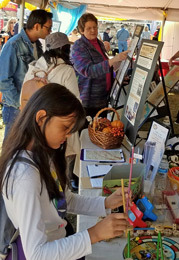 At an October 8th program, local history books were presented to the library. 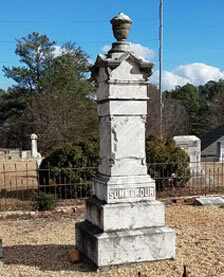 The books are are still being processed by the Fulton County Library System, but will soon be available in the reference area for any interested in tracing the genealogy of a local family or discovering stories of the land, events, and earlier inhabitants of the Johns Creek area. 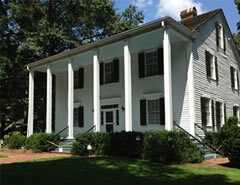 Providing several libraries with a research section on local history is an initiative of the Alpharetta & Old Milton Historical Society. 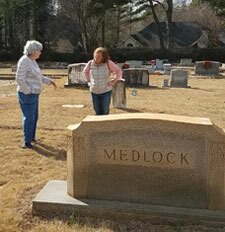 The Johns Creek Historical Society is proud to be a partner in this initiative. 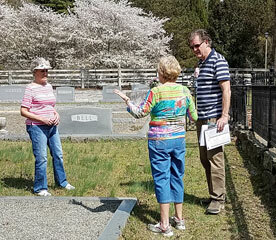 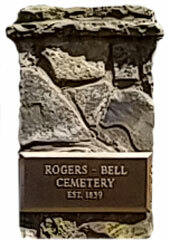 Program included the the history of the cemetery, church, and landowners of the 1800s. 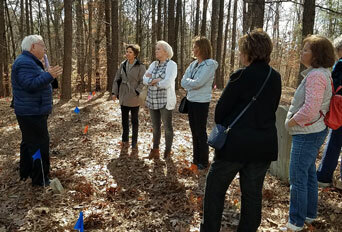 Research by the Historical Society was shared to clear up misunderstandings and errors in the story of slave April Waters. 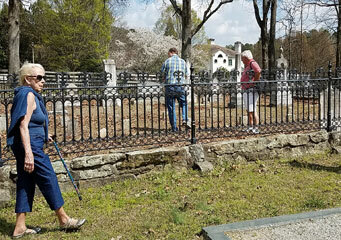 Photo shows just some of the many "Hero 4 a Day" volunteers who removed trash, limbs, and other debris from the cemetery under Rachel Sullivan's leadership. 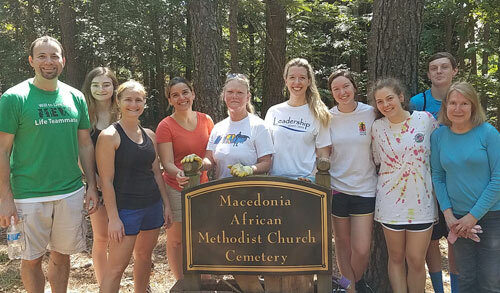 February 1, 2017 Tour of the Macedonia and Warsaw cemeteries.